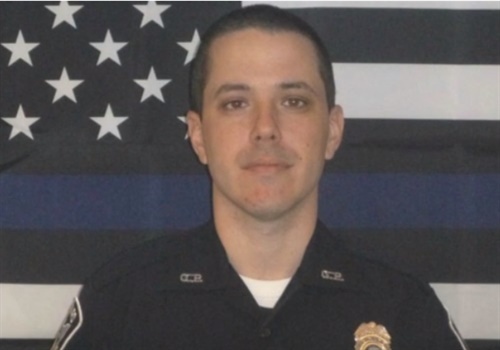 Police once saved the life of the man they say just killed an officer in Girard, OH, this past weekend, reports WJW-TV. Liberty Township Police Chief Rich Tisone said his officers and township firefighters helped save the life of Jason Marble in July 2015, by giving him CPR and Narcan. Marble is the man sources say is alleged to have shot and killed Girard, OH, Officer Justin Leo Saturday night. "It was rather disturbing to find out that we saved his life, and two years later he ended an officer's life," Tisone said Monday. Police were called to a home on Indiana Avenue in Girard about 10 p.m. Saturday. Shortly after they arrived sources say Marble shot Officer Leo. Another officer returned fire, killing Marble. Several police flags line the street where the officer was shot. Some neighbors even have blue ribbons tied on trees and small memorials in their yard. Leo, 31, worked as a police officer for Girard for about five years.